What is Traumatic Carpal Tunnel Syndrome? What are the common Carpal Tunnel Syndrome Symptoms? Are There Risk Factors for Carpal Tunnel Syndrome? What is the Diagnosis of Traumatic Carpal Tunnel Syndrome? What is a Carpal Tunnel Syndrome Treatment? The repetitive motion of the wrist or trauma to the wrist can cause carpal tunnel syndrome. In either case, the result is entrapment or impingement of the median nerve as it passes through the carpal tunnel in the wrist. It causes numbness or tingling, pain, and weakness of the thumb, index finger, middle finger, and half of the fourth finger. In most cases, the combination of environmental and genetic factors also causes it. Common predisposing conditions that lead to carpal tunnel syndrome is obesity, diabetes, hypothyroidism, pregnancy, and doing work that involves vibrating tools or heavy labor. Carpal tunnel symptoms are often worse at night. It is believed this is due to flexion of the wrists during sleep. Some researchers have linked worsening of the symptoms to lying on one’s side. Many people with carpal tunnel syndrome wear splints during the day and/or night. The splints are often slightly dorsiflexed so the hand is tipped back a bit. If a patient is not treated or continues to have pain in the affected hand, it can lead to permanent damage to the nerve with atrophy of some of the thumb muscles, and chronic weakness when attempting palmar abduction. The pain of carpal tunnel syndrome is actually a form of severe numbness that is so severe that it awakens a person from sleep. This has been shown to be the case in electrophysiology studies. Treatment of carpal tunnel syndrome can be conservative or surgical. Conservative measures include splinting and the injection of corticosteroids. Surgery usually involves cutting the transverse carpal ligament, which frees the nerve from its entrapment. Most people believe that carpal tunnel syndrome is only associated with repetitive stress. It can also be caused by trauma, such as a motor vehicle accident. It can be difficult to diagnose carpal tunnel syndrome caused by trauma because doctors are unaware of the potential for trauma to cause this condition. Traumatic carpal tunnel syndrome is believed to be caused by shear stress on the wrist that does damage to the ligaments and tendons that surround the median nerve. There aren’t many symptoms in the beginning but, as the tendons and ligaments heal, they form scar tissue that impinges on the nerve, resulting in the classic symptoms of numbness, pain, paresthesias (tingling), and weakness of the part of the hand serviced by the median nerve. The carpal tunnel, which is the source of the problem, is made up of several bones in the wrist which forms three sides of the tunnel and the transverse carpal ligament on the fourth side. Unfortunately, the tunnel has no room for expansion so any type of inflammation or scar tissue of the transverse carpal ligament can cause impingement of the median nerve. The median nerve travels through the carpal tunnel with nine different tendons and spongy tissue, known as the tenosynovium. If any of the tendons get inflamed, they can pinch the median nerve, causing carpal tunnel. An acute trauma can damage these tendons, leading to subsequent inflammation and scar tissue. In traumatic carpal tunnel syndrome, the symptoms don’t always show up right away. They can lead to constant or intermittent symptoms of numbness, tingling, or pain. The weakness usually is a late finding. Carpal tunnel symptoms may be dependent on the activity a patient does such as forming a fist, typing, holding a heavy object, driving, and sleeping. Since the compression of the median nerve is what causes traumatic carpal tunnel syndrome and not an injury to the median nerve, the symptoms are not immediate. In one study, 6 of 7 patients did not develop any carpal tunnel signs or symptoms for two weeks up to several months after the traumatic incident. Interestingly, another study showed that approximately 22 percent of people injured in a motor vehicle accident developed CTS. The fact that the symptoms are delayed leads the doctor to assume that repetitive stress is the cause of the injury and not trauma. The history should be looked at, which will reveal the presence of an incident where the hands were slammed into the dashboard or were gripping the steering wheel. This will lead to the proper diagnosis of traumatically-caused carpal tunnel syndrome. The diagnosis of traumatic carpal tunnel syndrome is even more complex because there are many other possible causes of similar symptoms. The symptoms can be from a C-spine injury, thoracic outlet syndrome, or compression of nerves at the elbow. A person can, in fact, have multiple diagnoses going on that impact the findings noted in the wrist and hand. If you do not address the carpal tunnel aspect of the injuries, it can lead to a permanent hand and wrist injury. A person can have some of these symptoms and not others, depending on how long they have had the disorder. 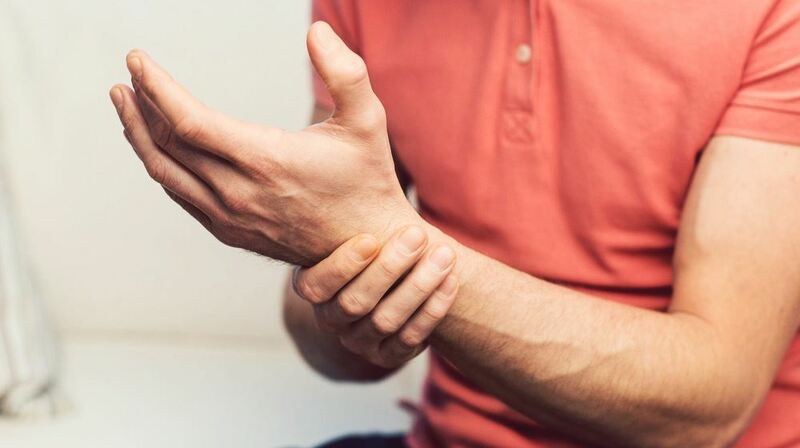 Traumatic carpal tunnel syndrome is most likely to occur in car accidents, but it can occur with a fall on the outstretched hand from a great height. In motor vehicle accidents, front-end collisions usually cause traumatic carpal tunnel injury. In such events, the driver is usually gripping the wheel and can have tendon damage to the forearm from the force of the collision. Injury happens when passengers fall forward and brace the collision with their outstretched hands on the dashboard. Depending on where the passenger is sitting, it is possible to have this kind of injury while wearing a seatbelt. The only way to have some protection for the forearm is to have both passenger and driver-side airbags. The diagnosis of traumatic carpal tunnel syndrome depends on a history of trauma within the last few months that involved pain or injury to the forearms. It also depends on the presence of the signs of carpal tunnel, keeping in mind what the median nerve innervates. One of the tests for diagnosing carpal tunnel syndrome is the Tinel’s sign. This is a test where the doctor taps on the median nerve in the wrist. If the patient experiences a sudden “zing” in the hand, the Tinel’s sign is positive. The Phalen’s sign is a test where the patient flexes both wrists and puts the backs of the hands together. If the patient has numbness or tingling in the hand when the doctor performs this maneuver, the Phalen’s sign is positive for carpal tunnel. In addition, the doctor checks the two-point discrimination of the hand to check for numbness. The doctor can do EMG or electromyography. This involves inserting a tiny needle into the muscles of the arm and hand to see where the nerve is not conducting enough electricity to the muscles. To determine the damaged nerves, doctors perform nerve conduction studies. X-rays can check for other problems, such as osteoarthritis, as well as broken bones or any dislocated bones that took place recently. Ultrasound helps in assessing the size of the median nerve. It is an inexpensive test; however, its usefulness is yet unknown. A better test is the MRI, which can detect swelling of the median nerve, narrowing of the carpal tunnel and the possibility of a loss of circulation of the blood through the carpal tunnel. Blood tests are sometimes performed to see if there are medical conditions leading to carpal tunnel syndrome, including thyroid function studies, a rheumatoid factor or testing for lupus. The idea behind carpal tunnel syndrome treatment is that treatment can return the patient to normal functioning by reducing inflammation and pressure on the median nerve, and by preventing permanent damage to the nerve. The treatment is based on how severe the condition is and whether or not there is any permanent damage to the nerve. Many patients do well with nonsurgical treatment, especially if they get treatment early in the course of the disease. Nonsurgical treatment is usually the first treatment before considering any surgical intervention. Making sure there are no other medical problems contributing to the disease and fixing any medical problems that do exist. Avoiding activities exacerbating the condition. It is ideal to take frequent breaks from repetitive motion activities. Wearing a wrist splint, especially at night. Some people also prefer to use it during the day as well. Using nonsteroidal anti-inflammatory medications to ease the pain and swelling of the affected tendons and nerves. Use of oral corticosteroids or injectable corticosteroids. The injection directly targets the area where the pinched median nerve is. Doctors consider surgery when all other remedies have not been successful or if there is already damage to the median nerve. During the surgery, the doctor cuts the “roof” off the carpal tunnel by cutting the overlying ligament. This immediately relieves the pressure off of the median nerve and the nerve eventually heals. The only time the surgery is unsuccessful is when the nerve has already been damaged by carpal tunnel syndrome or if the nerve is damaged by other causes, such as diabetes. Anyone who gets into a motor vehicle accident may end up having traumatic carpal tunnel syndrome. Understanding the injury, its symptoms, diagnosis, and treatment may help one prevent permanent nerve damage from carpal tunnel syndrome. I'm Ed Smith. If you or a loved one has suffered traumatic carpal tunnel syndrome as a result of someone else's negligence and would like to discuss your legal options with an experienced Sacramento Personal Injury Attorney, contact me online or you can reach me at 916-921-6400 or 800-404-5400 for free and friendly advice.